Established in 1979, Carnoisseur offers performance parts and car accessories to true car enthusiasts. Its range includes alloy wheels, suspension, exhausts, tuning, remapping, seats, in-car entertainment, car care, clothing and much more. 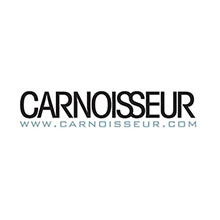 Products are available to purchase online and through a chain of Carnoisseur Outlets located across the UK and Ireland. 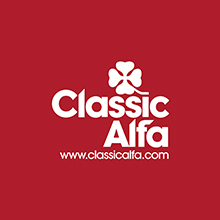 Classic Alfa is the UK’s largest supplier of parts for classic Alfa Romeos from 1950 to 1978 and for all Spiders until 1993. It has the widest range out there and a massive stock on the shelf, ready for immediate dispatch. So whether you need Giulietta spares or a part for your 1900/2000/2600 please take a look at the online shop. 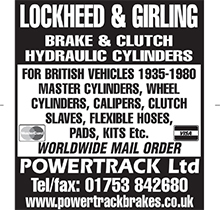 PowerTrack Ltd is a leading supplier of Lockheed, Girling and Dunlop brake parts for classic car and commercial vehicles from 1935 to 1980. It is a supplier of rare and hard-to-find brake spares for mainly British vehicles, it can also help with parts for European vehicles fitted with Lockheed Girling or Dunlop braking systems (Saab, Volvo, Maserati, etc. ).